Considering Us? 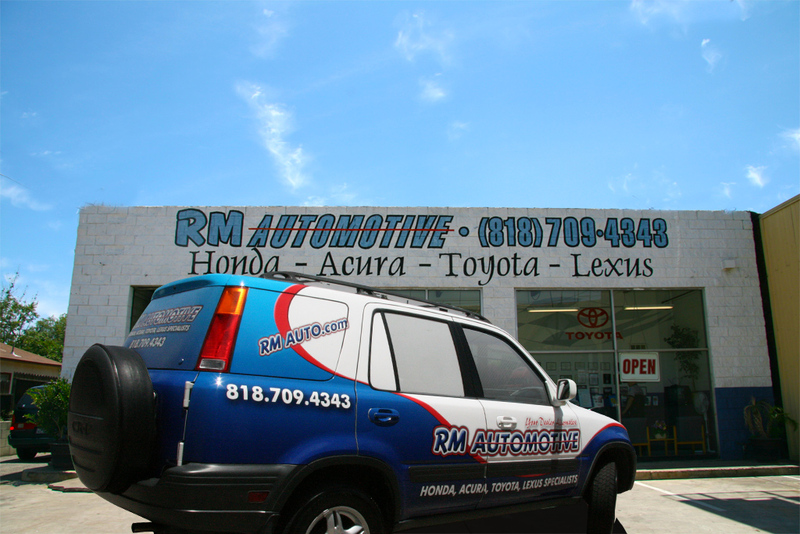 - RM Automotive Inc.
First, thank you for considering making our shop yours for the service of your Honda, Acura, Lexus, Toyota, Scion, Kia, Nissan, Infiniti, Hyundai, Subaru and Mazda. We have put in a LOT of effort to become the most referred shops anywhere around Northridge, CA. What do other people think of your shop? 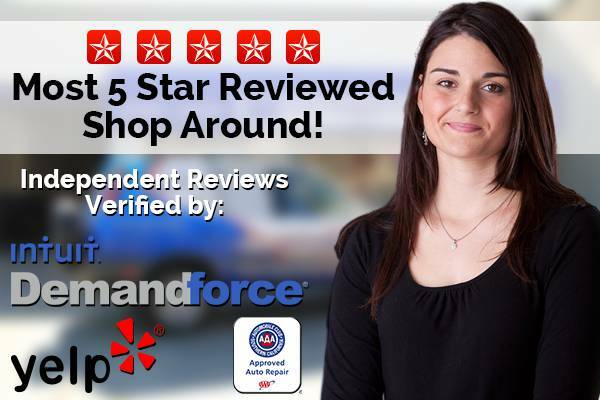 We have more 5 star reviews than any other shop around! We may sound a little proud about this, and we are. We have worked much harder than the other auto service companies around at creating happy and loyal customers. Now, those people are speaking up to tell the world. We feel good because this is a result of the determined effort that we’ve put into being the best over the last 14 years. Take a look at the reviews on Yelp and Google and you’ll see what our wonderful customers are saying. Also, we don’t stop there. We really need to know how well we are caring for each customer. So, we’ve hired Intuit DemandForce to survey every customer after each transaction at our shop. The results for those independent surveys are also extremely good. We do it all for Honda, Acura, Toyota, Lexus and Scion, except tire sales. From factory recommended maintenance (to factory specifications) all the way to major repairs, we have the expertise to complete the job with expert workmanship — and a smile. For more details on the some of the services we provide visit our Services page. What Does Your AAA Approval Mean To Me? 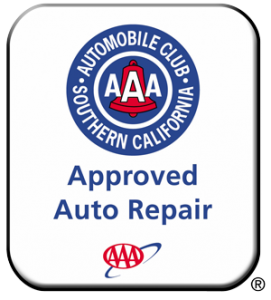 To become a AAA Approved Auto Repair company means that they have inspected our facility, taken 100′s of our repair orders and surveyed our customers. They do this to make sure we are the quality of company that they can send their members to when auto repair is needed. AAA re-inspects our facility regularly to make sure we continue to meet their strict standards. The AAA acts on behalf of its members to handle any disputes between the shops and customers. This gives you an extra ally to depend on if you ever need to settle a dispute. The bottom line is that AAA does the work of making sure we are a reputable auto repair shop for you. This is the area where we get the most compliments. We are friendly people that truly care about you and your car. We are easy to get along with and we don’t talk down to you. When you want it, we educate you on our service so you understand it well. We don’t try to confuse you with technical lingo either. We truly want you to be in our family of customers. We want you to feel great about doing business with us so that you will come back and you will tell your other friends that own Honda, Acura, Toyota and Lexus cars. An important addition to that is our technical expertise. We are very well trained and experienced in these brands of cars. So we usually know what is best. This saves you time and money. Because we specialize in only Honda, Toyota, Acura, Lexus, Scion, Nissan, Infiniti, Hyundai, Kia, Subaru and Mazda we are able to control our costs very well. Generally, our customers tell us we save them money compared to the dealerships. We are usually less expensive than other local shops that service all makes, too. However, we are only competitive with shops that hire qualified personnel and install quality parts. Therefore we cannot compete with the shops that cut corners just to offer a low price. We do a great job at a very affordable rate, but we don’t cut corners just to give you a low price. We believe that no one wins for the long term with that policy. Do You Offer A Customer Shuttle? Yes we do. All you have to do at our shop is show up for your appointment and we will take you to the office or home. Then, when your car is done we will pick you up and bring you back to the shop. Also, its important to note for those that have used the shuttle service at a dealership before, we are usually only giving one person a ride at a time. We don’t crowd a bunch of customers in and drive far and wide dropping them off. You just come in for your appointment, we hop in the shuttle, drive to your home or office and drop you off. Then, when we have your car ready, we’ll come out, pick you up and take you back to the shop. It’s that easy. All for no charge for local service. Talk to the service advisor for full details and our coverage area. Expert workmanship is the cornerstone of our business. The proof is in our experience and in our growth. Our shop boasts some of the most experienced and best trained technicians for working on Honda, Acura, Toyota and Lexus. Collectively we have about 70 years of experience, National Winner of Top Technician of the Year for American Honda, two ASE Master Technicians and ASE Certified Technicians. We come from the dealerships and have built a top-rated shop with all the right equipment to give your car the service it needs – and we do it right the first time! We started business in 2000 and have grown very well since. We could not have enjoyed this success unless we upheld high quality standards. People simply would not come back. This means that the Institute for Automotive Service Excellence (the ASE) has recognized our business with their highest honors. To qualify for this esteemed title, we must show excellent dedication to the training and qualifications of our service technicians and service advisors. Fewer than 1 out of 300 shops ever become an Blue Seal shop. We’re proud of our achievement and feel it comes naturally from our passion for quality auto repair services. If you have further questions on our quality standards and expertise, please feel free to call and ask. Reed Galloway and Mike Wright started the shop in 2000 and have grown very well since. The business was started by the two of us because we felt there was a missing need in the valley for high quality auto repair and maintenance services specifically for the brands we know well. We felt the shop should specialize in these brands and we should do it better than the dealerships and other independent shops, but at a better price. 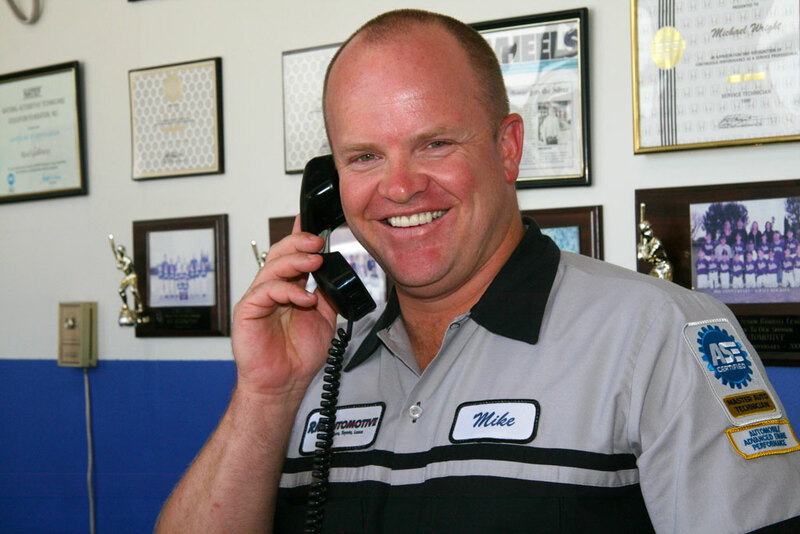 Mike was recognized by American Honda as the National Winner of Honda’s Top Technician. Between the two of us, we have worked on 1000′s of Honda, Acura, Lexus and Toyota vehicles in our years. 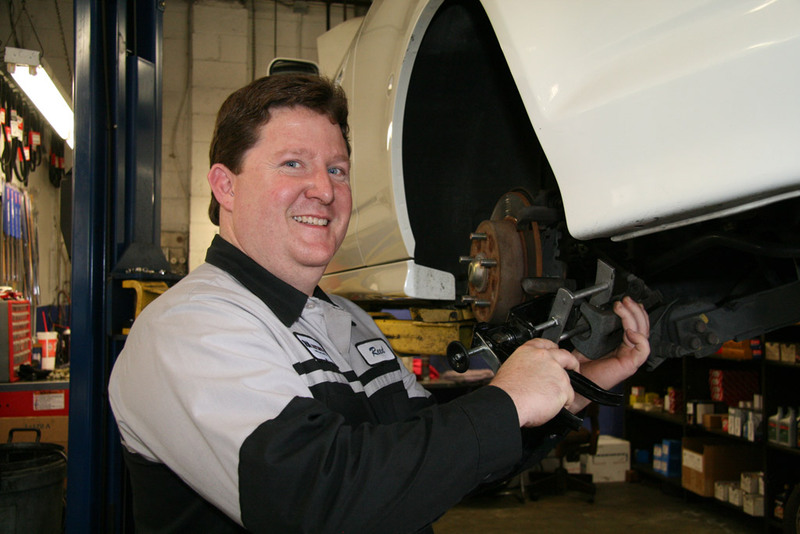 Reed is a Honda Silver Level Technician and has over 20- years of experience working on Honda and Toyota vehicles. Both of us are ASE Master Technicians as well. High quality standards, expert workmanship along with personal care and attention have become the hallmarks of our growth. The ASE stands for the Institute for Automotive Service Excellence. There are tens of thousands of auto repair shops in California. However only a little more than 100 are awarded the ASE’s highest honor for an auto repair shop — The ASE Blue Seal of Excellence. This designation means we have met their high standards by having a high percentage of our staff that is either ASE Certified or ASE Master Technician. The bottom line is the ASE has verified, for you, that we have the qualifications needed to perform auto repair services with great expertise.